Box Hill #25 is a very neatly presented attractive unit and is part of a secure apartment complex in the Eastern Suburbs of Melbourne, only minutes walk from local shops & public transport. It is available for short or longer term bookings with the minimum being a two night stay. This apartment is an ideal affordable alternative to formal hotel/motel style accommodation for business traveller's, tourists or families. With two bedrooms, containing one queen size bed and two singles, it has ducted heating and reverse cycle air conditioning. It has a fully equipped kitchen with stove, refrigerator, microwave, crockery and cutlery. There is a bath and shower and also a washing machine and dryer for your convenience. There are many local shops & restaurants nearby as well as a large fresh fruit and produce market. Box Hill Central Shopping Center is renowned for its Asian food. The glamorous Doncaster Shoppingtown Retail and Cinema complex is only 5 km away. A large number of quality public & top-of-the-list private schools are nearby such as Box Hill High, Kingswood & Sion Colleges. It is only a short train or tram ride to the excellent private schools located in the inner east such as MLC, Trinity, Scotch, Genazzano, Fintona & Camberwell Grammar. Box Hill TAFE, Swinburne & Deakin universities are also close by. Box Hill Hospital & Epworth Eastern Medical Center are only a few minutes drive away. Will be provided to guests a week prior to their arrival date. A cot or fold up bed is available. Box Hill #25 has a marked parking space in a secure undercover car park entered from Latrobe St. 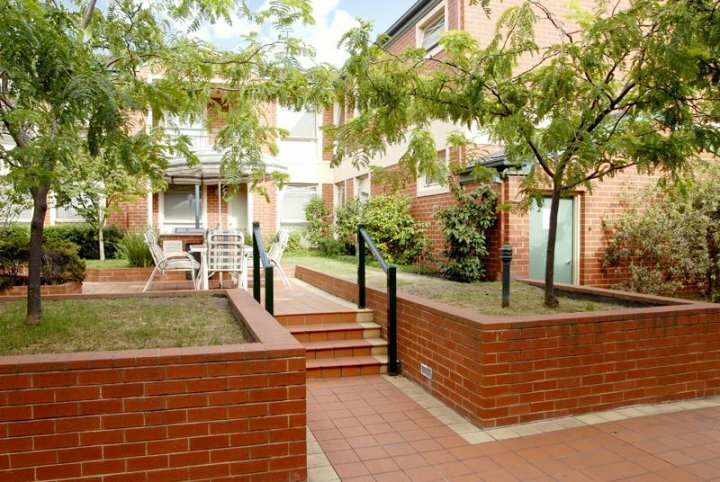 Box Hill Apartment Accommodation is only a short drive to the Melbourne City attractions as well as the Yarra Valley Wine District and the Dandenong Ranges and the wineries, beaches and food of the Mornington Peninsula. Great food and shopping is close by.